BOSS Bottled Intense' reveals the strength of character that is masculinity. The fragrance is an exquisite composition of wood tones, spices and a powerful concentration of precious oils. 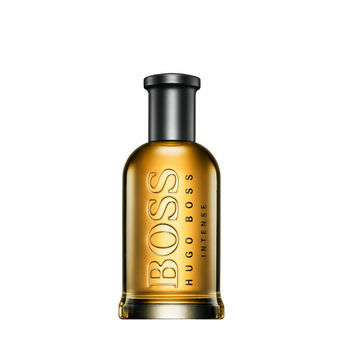 BOSS BOTTLED INTENSE Eau de Parfum is for men who redefine the meaning of success. As sensitive as it is self-assured: The tangy and vibrant top notes of citrus fruits combine with the sweetness of Cinnamon and an emphatically masculine base of Sandalwood and Vetiver. Luxurious, and unapologetically masculine. Explore the entire range of Perfumes (EDT & EDP) available on Nykaa. Shop more Hugo Boss products here.You can browse through the complete world of Hugo Boss Perfumes (EDT & EDP) .Alternatively, you can also find many more products from the BOSS Bottled Intense Eau De Parfum range.